Android as a whole is an awesome operating system with tons of powerful features. However, there are still areas where it lacks some polish. It’s the little things that can make software feel fully thought out and complete. One such little thing in Android Pie is adjusting the ringer volume. You can’t do it without the phone making a noise. The main source of this problem is the new behavior of the volume buttons. Previously, the volume buttons control the ringer volume unless you were actively playing media. Now, the default control is media volume. This makes sense most of the time, but it can be annoying when you want to change the ringer volume. You can tap the bell icon to switch between silent, vibrate, and ringer, but you can’t adjust the ringer volume. To change the ringer volume in Android Pie you have to go into the Settings. The problem here is every adjustment on the volume slider makes your ringtone play. That can be particularly annoying when you trying to adjust the volume specifically to be quiet. The whole thing was brought up by a user over in the Google Issue Tracker. Other users agreed with this being an annoying problem. In early August, Google deferred the issue for consideration in a future release. Yesterday, they finally marked the issue as fixed and said it will become available in a future Android release. Hurray for community teamwork and crowdsourcing bug reports. 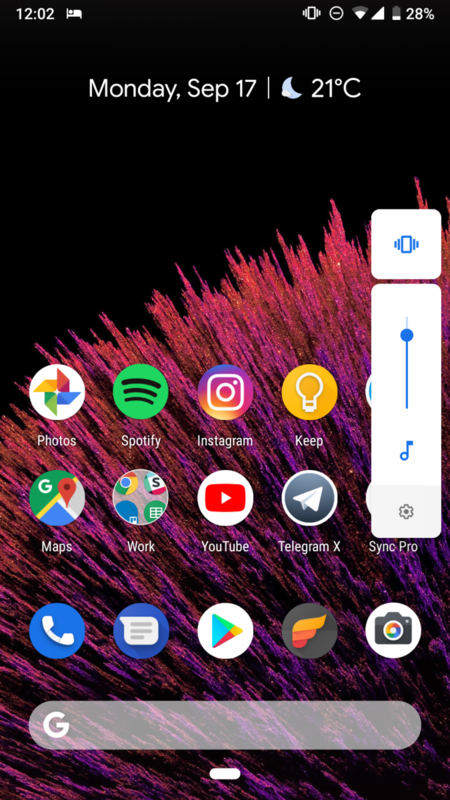 Have you found this to be an annoying “feature” in Android Pie?